The silly season let the traditional politics asleep, but populists across Europe were wide awake. The most important events of this Summer were resumed by the pitch delivered by Manfred Weber, who started the campaign for the European elections after he seized Angela Merkel support in late Summer, rather than by the State of the European Union speech delivered on the 12th of September. Indeed, last Summer witnessed an acceleration of the race for becoming Spitzenkandidaten. After – a lot of – speculation over Michel Barnier as EPP candidate, currently negotiating the Brexit deal with the UK on behalf of the EU; Margrethe Vestager, who is considered the possible winner for Liberals; and Maros Sefcovic, who launched himself into the race ignoring the internal primaries that the Party of European Socialists set to launch…, up to now only Manfred Weber is considered a real candidate. His candidacy marks the definitive shift towards a harder line on borders that Matteo Salvini and Victor Orbán are championing in the EU. 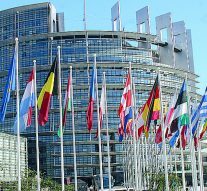 Whether it will be enough to stem the far right in the European Parliament is one more question mark for the next composition of the European Parliament. But the Conservatives going hardlines imply in any case a stronger alliance in the EP – and therefore in the Commission – against a solidarity-based approach to migration. Anyway, if Sefcovic was to be the candidate for the social-democrats, the solidarity-based approach could be considered dead, given the Slovak party stand on migration. But nobody considers his candidacy to be real, Commissioners Timmermans and Moscovici currently holding more chances than Sefcovic. Speculations got the Macron-inspired list too, but for now the only real news in this regard is that the European list of En Marche! has an allie in Poland, where the locally popular mayor of Slupsk, Robert Biedrom, launched a liberal platform for the European and national elections. As for the rest of Europe, nothing is clear yet regarding the case for En Marche! to join ALDE, how would ALDE be transformed, or the case for Macron’s movement to become a European party and build its own EU-wide platform. A prime example of the numbness can be found in Italy, where after months of rumors, the PD has not split yet and for now stays altogether in PES. Rumors are not over regarding the possibility that Matteo Renzi leaves the party – or the other way around – to create the Italian leg of En Marche!. What remains after the Summer fires? Ashes are not visible yet, but if the campaign for the EP Elections will continue being dominated by the hardliners there is not much more that one could expect out of the smoke.